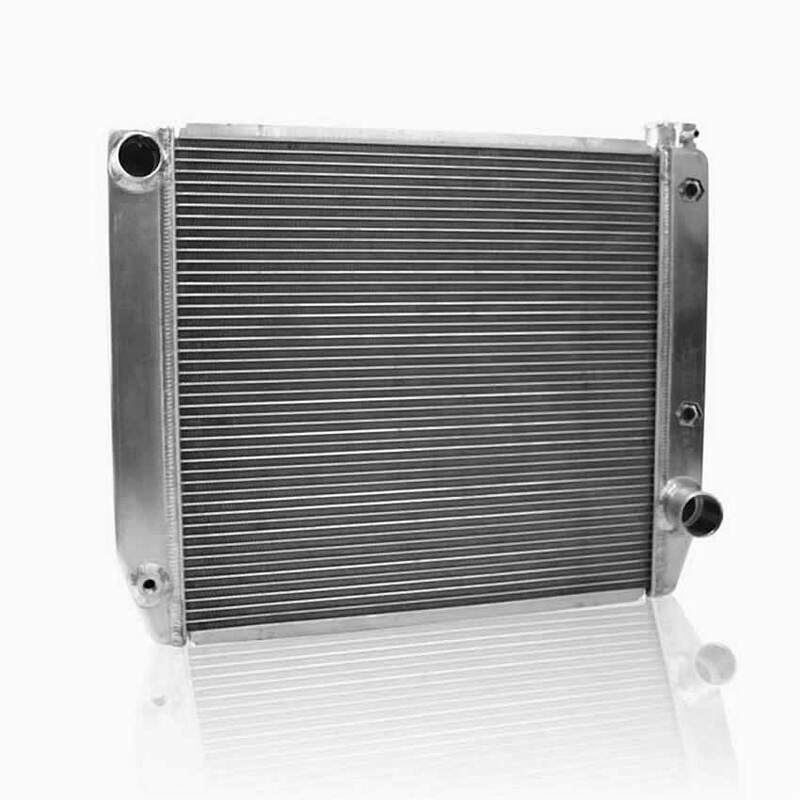 The Griffin 1-55202-T is an aluminum UniversalFit radiator for an overall size of 24x19x3. Featuring Griffin's MegaCool 2 rows of 1.25 inch aluminum tube. This performance radiator certain to keep your vehicle cool under natures most extreme conditions. For those of us that push harder and farther than nature intended, be sure to turn it into a Griffin ComboUnit which includes single/dual fans and custom fan shroud. Wiring harness, relays, temp sensor and radiator cap are sold separately.